Howdy there partner! 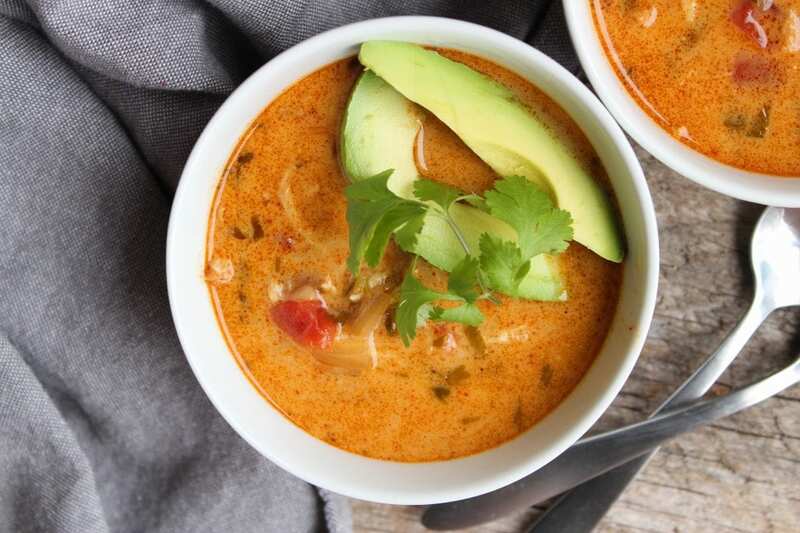 It’s a cool and rainy Monday here in Central Arkansas so I’ve decided to share this recipe for Paleo Slow Cooker Chicken Tortilla Soup with you today. If you’re curious, this Slow Cooker Chicken Tortilla Soup is Whole30 compliant as well as being Gluten-Free and Dairy-Free. If you’re new around here, first of all, welcome! We have a lot of fun in this little space cooking up healthy, family friendly recipes. 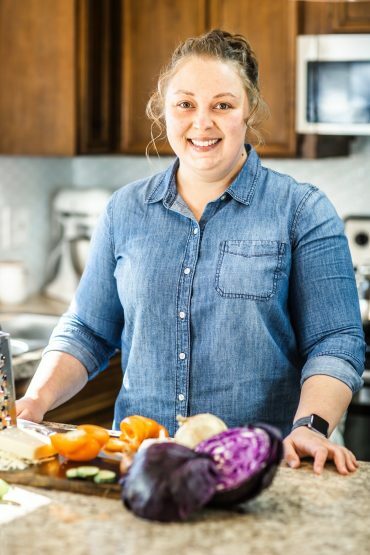 If you’re not new, then you’ve probably heard me mention that my husband and I have changed our way of eating to a mostly Paleo Diet. This change happened almost 5 weeks ago and we are still going strong eating mostly Paleo and keeping everything “clean”. The reason for our switch was for both of us to manage some health problems that we found sneaking up on us. I will expound more later, but suffice it to say, we have both noticed an incredible positive change in our emotions, moods, and physical health. 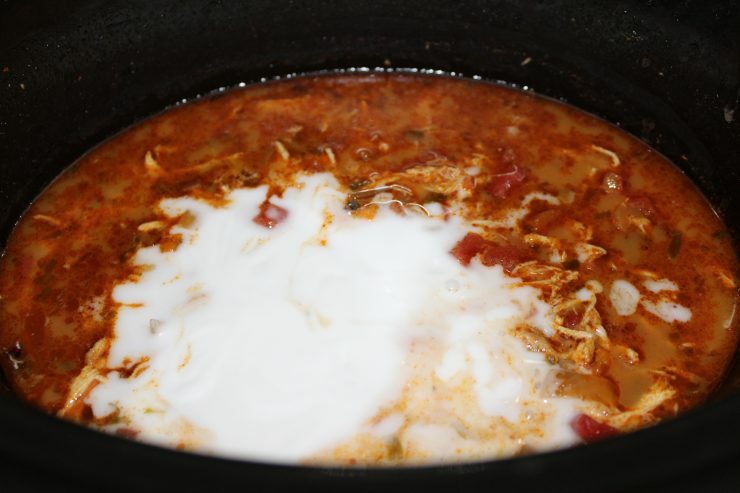 With all of that being said, since going Paleo, several wonderful recipes have came about as a result of my tinkering in the kitchen – this Paleo Slow Cooker Chicken Tortilla Soup being one of them! Some other great recipes I’ve created is this Keto Burrito Bowl (also Paleo/Whole30) and Paleo Orange Chicken. 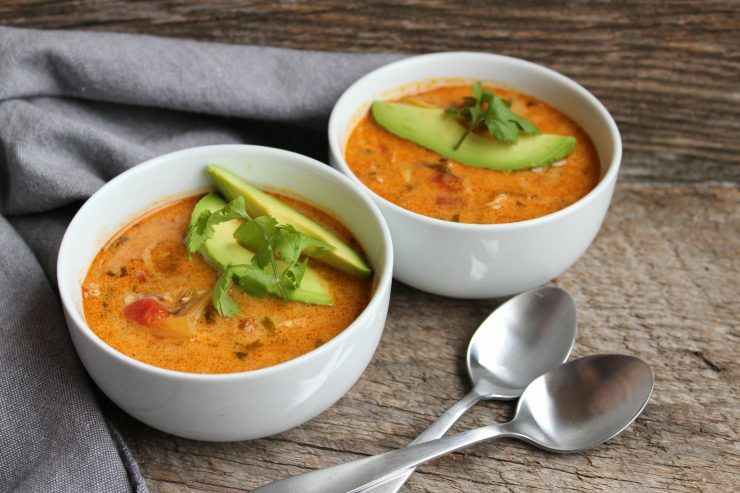 Now before we move on any further, I have to tell you that this Paleo Chicken Tortilla Soup is actually free of any tortillas, making it a Chicken Tortilla-Less Soup. Don’t worry though, you won’t miss the tortillas here. This soup is so creamy and delicious, oh, and the flavor. THE FLAVOR! You will swoon. Guaranteed. Have I mentioned that this Chicken Tortilla-Less Soup also makes the best work-lunch leftovers? Just slap it in an airtight container and re-heat later for an amazing, filling lunch. Bonus: You can also freeze any leftovers. Not that you’ll have any left over to freeze (trust me, you won’t) but if you make a double batch and want to freeze some, that’s easy too. Put the leftover Paleo Chicken Tortilla Soup in an airtight container, label the container with the name of the soup and date it was made, then freeze for up to 3 months. 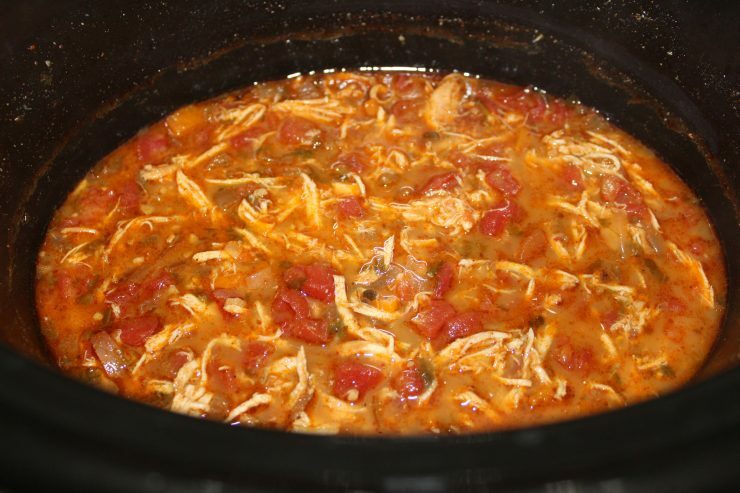 If you don’t want to make this Paleo Slow Cooker Chicken Tortilla Soup in the slow cooker, it can also be made on the stove top. 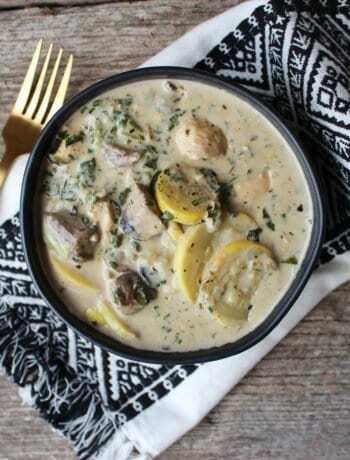 Just add all of the ingredients (sans the coconut milk) into a stock pot and simmer until the chicken is tender and cooked through. Once the chicken is cooked, remove it and shred, then add it back in along with the coconut milk. Stir well and serve up! Cooking this Whole30 Chicken Tortilla-Less Soup on the stove top only takes about 30 minutes and is equally delicious as cooking it in the slow cooker. Okay friends, let’s get cooking! To start off this Paleo Chicken Tortilla-Less Soup, add your ingredients to a 4 quart or larger slow cooker. The ingredients we’re adding right now diced onion, bell pepper, and tomatoes with green chili’s (with the liquid). We’re also going to add in fresh minced garlic, ghee, our spices and seasonings, and of course boneless, skinless chicken breast. A few tips: I like to use yellow or orange bell pepper for this recipe because they carry the biggest flavor punch. Also, for this recipe I’m using mild tomatoes with green chilies but you can use medium or hot depending on what you like. 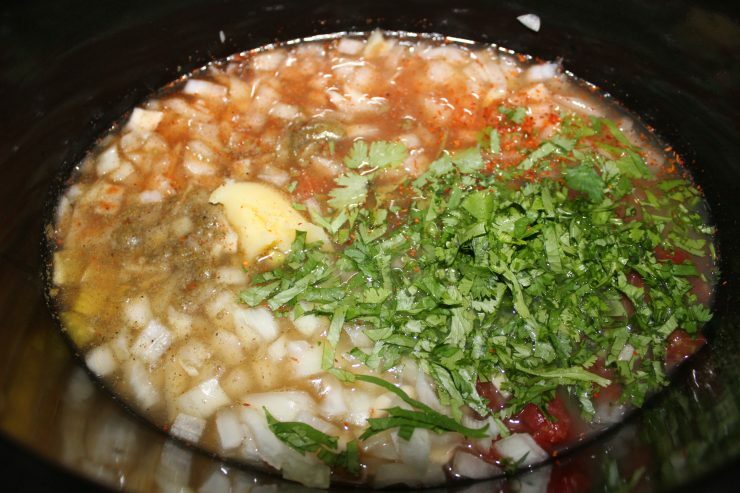 Add in the chicken broth, fresh cilantro and lime juice, then stir everything a few times to combine. A little note: it’s important to make sure your chicken broth doesn’t contain sugar if you want this Slow Cooker Chicken Tortilla Soup to be Paleo and Whole30 compliant. Be sure to read the ingredients list on your chicken broth (or make your own) because many brands sneak in hidden sugar. Guess what? 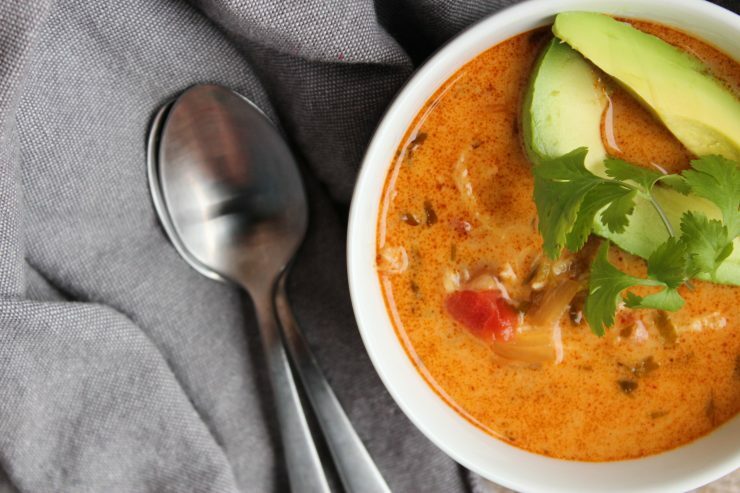 You’re ready to cook this wonderful Paleo Chicken Tortilla Soup up! Place the lid on your slow cooker and cook on high 5 hours or low 7 hours. Once cooked, turn the heat off, remove the chicken, and shred between two forks. Stir the shredded chicken back into the soup and grab your can of coconut milk. 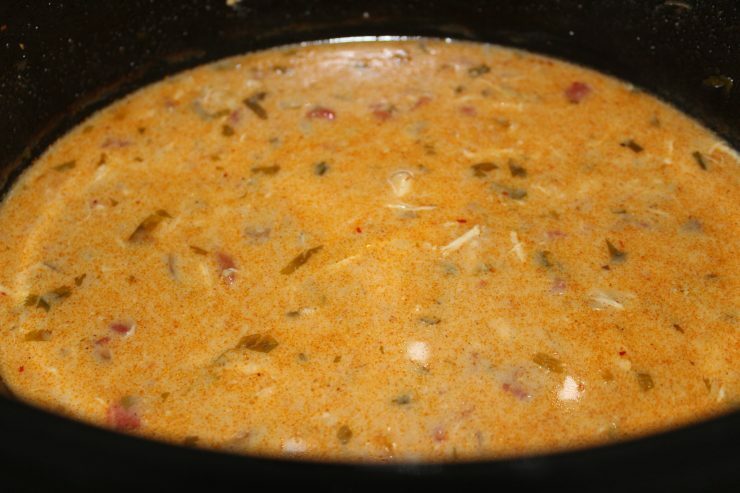 To make this a Diary Free Chicken Tortilla Soup we are adding one can of full-fat coconut milk to the recipe. You want to make sure you use canned coconut milk – nothing else will taste the same or be as creamy. Also make sure it’s full fat! Don’t go for the reduced fat coconut milk because again, it won’t be as rich and creamy. 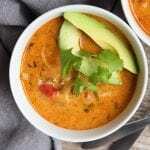 Stir the coconut milk into the Creamy Chicken Tortilla Soup and just look at that wonderful goodness. I guarantee you are absolutely going to love this wonderful Paleo Chicken Soup – your kids will love it too! 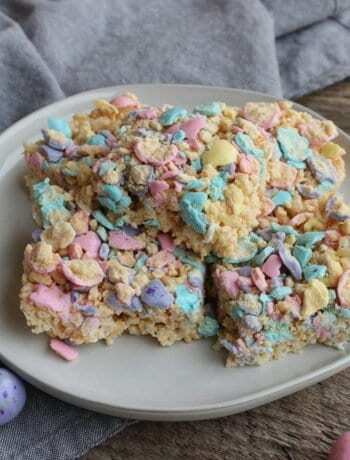 And you won’t even miss the gluten or dairy in this recipe because all of the wonderful, whole-food ingredients give it a power packed flavor! 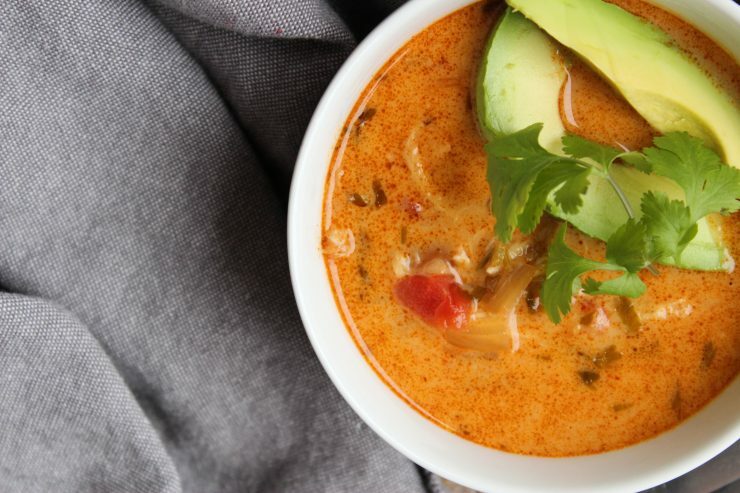 Serve your Paleo Slow Cooker Chicken Tortilla Soup while it’s still hot and top with a couple of fresh slices of avocado. If you want extra spice, you could also add some freshly sliced jalapeno on top as well. If you’re not overly worried about the dairy, sprinkle on some shredded cheddar or Pepper Jack cheese. You could even sprinkle some crushed grain-free tortilla chips on top for a little crunch. If you loved this Paleo recipe and you’re looking for me, check out this Paleo Orange Chicken Recipe and my Keto Burrito Bowl Recipe which also happens to be Paleo and Whole30 compliant. Come back again soon because I’ve got more great Paleo, Whole30, Gluten Free, and Dairy Free recipes coming up! Even if you’re not following a Paleo or Whole30 diet, these recipes are hearty and delicious for anyone to enjoy. The really great thing is that you can also feed them to your family and know they will enjoy a nutritious, whole-foods meal. I love feeding my family healthy, wholesome food that nourishes their body and mind! As always, I thank you for stopping by and spending part of your day with me. I hope you had as much fun cooking today as I did and I invite you to come back soon and cook with me again! This Paleo/Whole 30 Slow Cooker Chicken Tortilla Soup is so simple and delicious - perfect for any dinner meal and makes a great on-the-go lunch! 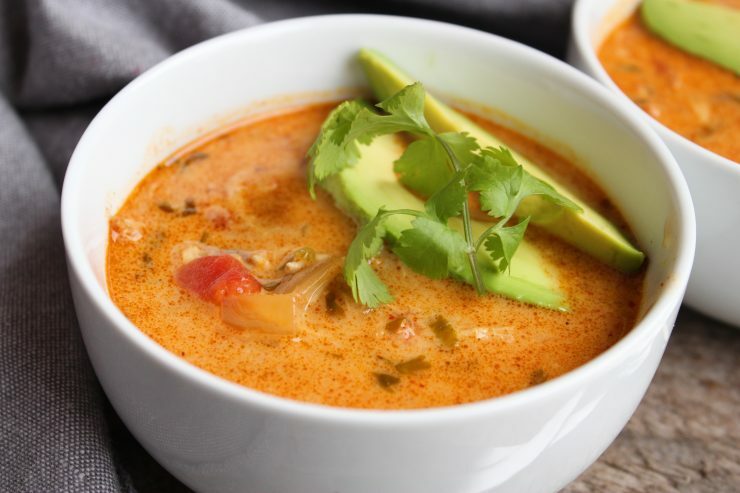 This Paleo Chicken Tortilla Soup is also dairy-free and gluten-free! 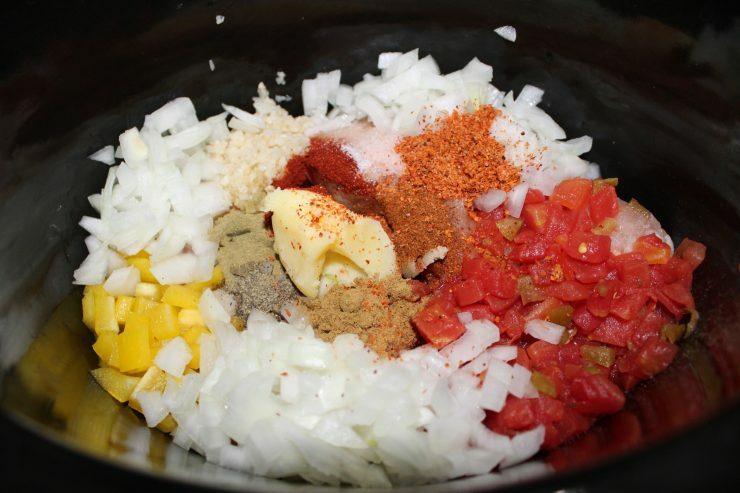 Add first 16 ingredients to a 4 quart or larger slow cooker and place the lid on. Cook on high 5 hours or low 7 hours. Once cooked, remove the lid and turn the heat off. Remove the chicken, shred between two forks and stir back in. Add in the can of coconut milk and stir well to combine. Serve with sliced avocado on top or sliced jalapeno peppers and enjoy! This Paleo Slow Cooker Chicken Tortilla Soup makes an absolutely delicious meal for leftover lunches! Store in an airtight container and take it to work with you for a fast, healthy, and delicious lunch meal that will keep you full for hours. Can also be frozen in an air-tight container to enjoy later! 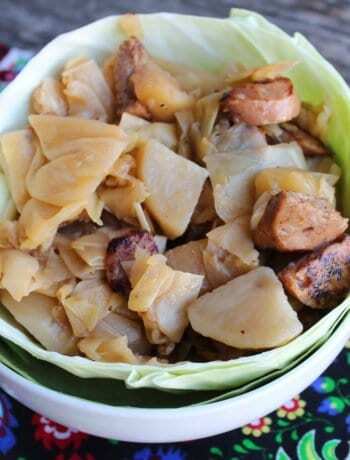 A perfect winter dinner – Thanks for sharing at the What’s for Dinner party! I’ve made this one over and over the last 3 weeks. It’s so good re-heated for lunches too! We love a great Chicken Tortilla soup and your recipe looks delicious! Hope you are having a great week and thanks so much for sharing your post with us at Full Plate Thursday. We love this! Makes great lunches too!